As always, someone is forgotten. Their persona un-known, their memory should be celebrated in the true light it deserves in honor. The purpose of this thread is to glean information that gives her that and votes will go down if Amanda Knox comes into the conversation as being the main victim. There's enough threads about her. Though she and anyone else will still exist in this thread. Discussions about things that are of interest should be freely expressed. [+4] - FOUND SOUL - 04/15/2015[URL=http://s873.photobucket.com/user/CHANDLERSWISH/media/sUBOjBO.jpg.html][IMG]http://i873.photobucket.com/albums/ab292/CHANDLERSWISH/sUBOjBO.jpg[/IMG][/URL] Another of her with her family. Nice title, Found Soul. Yes, this dedication to Meredith Kercher is exceedingly appropriate. votes will go down if Amanda Knox comes into the conversation as being the main victim. When innocent people are sent to prison and horribly slandered, they are very much the main victims. Denying that they are victims is just one more way of hideously attacking them. If you want a thread to be primarily about a specific subject, you shouldn't also use that thread as a weapon for attacking innocent people, because as soon as you do that, it becomes about the innocent people who you are attacking. And downvotes will never silence those of us who speak out in defense of innocent people. In other words, your first post was a highly inauspicious start to your thread. But perhaps you will stop attacking the victims and focus on the subject that you claim to prefer. Perhaps not. We'll see how it turns out. If you make this thread all about attacking innocent people though, I'll be defending them whether you like it or not. She was the baby of the family, with two older brothers and a sister. When an Italian judge read that a jury had overturned the murder verdict in the trial of Amanda Knox, several people in the crowd outside began to protest and her family quietly left the courtroom. Many people, including the Kerchers, believe Knox is guilty of murdering Meredith Kercher in 2007. Tonight she is a free woman… but Kercher is still gone. You don’t hear much about Kercher and some say the media has forgotten about the victim in this case in favor of reporting about the photogenic Amanda Knox, even dubbing her “Foxy Knoxy”. Some say it’s not a media bias it’s because the Kercher’s have refused most media interviews while the Knox family has been very vocal about declaring her innocence. As the Huffington Post reports, to her family’s frustration, Kercher has been eclipsed in the public’s eye by the 24-year-old Knox, as supporters mounted a very public campaign to free her. Although the Kercher’s have remained mostly silent during the trial and appeal they have said they firmly believe Knox is guilty. In one of the few TV interviews they have granted, Kercher’s sister Stephanie and mother Arline said attention should focus on justice for the victim, not Knox or her ex-boyfriend Raffaele Sollecito, whose conviction was also overturned today. 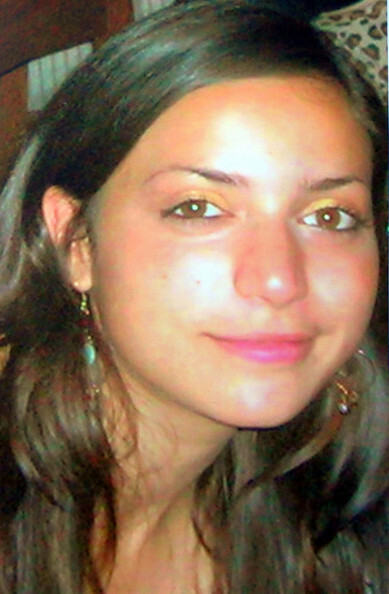 Kercher worked hard to get to study abroad in the Italian town of Perugia where she was ultimately murdered. She shared an apartment with two young Italian women and Knox, who moved in around the same time. As the Huffington Post reports, Kercher liked to go dancing and watch movies and had begun to date an Italian man who lived downstairs. 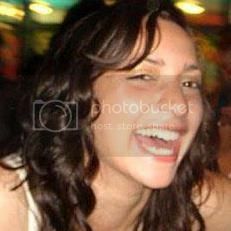 On the last night of her life, Kercher ate dinner with friends, watched a movie and went home alone around 9pm. Her nearly naked boy was found the next afternoon on the floor of her locked bedroom. Her throat had been cut, her body covered by a blanket. Her father refused to see her body because he wanted to remember her as she was in life. “She was a girl full of life. She loved music, she loved to dance. She was full of joy in her heart” her mother told reporters during a rare interview. The Kerchers, particularly Meredith’s father John Kercher, who is a journalist, has expressed rage that Knox is getting most of the attention. True justice for Meredith Kercher is still waiting..
You are correct that they are both victims --- I think the poster wanted to give some thoughts on the poor girl that was killed in this whole terrible situation. Unfortunately it is true, she is almost forgotten and likely having the police and media focus so much on trying to convict the wrong person her true murderer is to go free and Meredith is almost an afterthought - not that she should be. I honestly do not think the poster (at least I hope so) means to infer Amanda is not a victim as well - just pointing out that the poor girl who lost her life is barely even mentioned or thought of -- the poster simply wants to point out and give thoughts to the victim who lost her life. As much as a horrible and unfair ordeal Amanda went through - she does have her life to continue. Linking to hate sites is hardly a fitting way to honor Meredith. It may be that FOUND SOUL is innocent in this. However, there are people out there who intentionally deny that Amanda and Raffaele are victims. And these people deliberately use language referring to Meredith as "the" victim (singular). Anyway, I already spoke my piece in my reply to the first message. If it is the case that FOUND SOUL only wants to make a tribute to Meredith without harming Amanda and Raffaele, it's probably best to not have an extended exchange over this, and instead let people get on with posting pictures of Meredith or whatever. 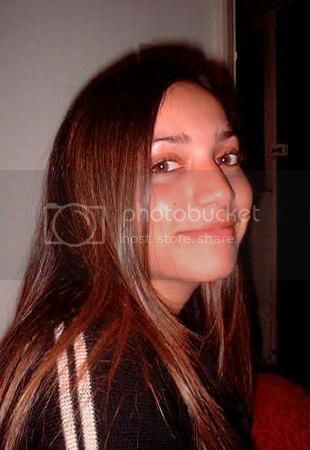 Meredith Kercher was the victim of a horrible murder. Unfortunately, there is a very disturbed person who constantly supports the people charged with the murder and disparages both the murder victim and her family. My sense is that Found Soul is reminding the forum that ultimate victim is the young woman who is no longer alive and her grieving parents. The Italian Court system has overturned the not guilty verdict and is attempting to retry the original suspects. If they actually committed the crime, they are not really victims in the true sense of the word, if they are innocent they have been through an ordeal. I can't even guess what evidence the Italian Courts have, but I hope the people who committed this heinous crime are convicted. I didn't open any of the sites that were attached - are they really hate sites? You can open the sites (they are safe) and see by yourself who really haters are..
TJMK is indeed a hate site. The other link was just to some kind of news article. I have no need to open the sites - no need to deal with hate or otherwise. Just plain old sympathy and thoughts for the girl and her family. Really sad. Oh my, what a lovely picture of Meredith. Beautiful article, Timur, so informative. Thanks for posting it. Wow, Found Soul, these photos of Meredith are quite beautiful. These and the ones posted by Timur are the best I've seen. She has a quiet type of beauty as well as an inner glow which seems to shine through. Thanks Timur, I've been reading the link you attached and will continue. Though I think the 2nd link suggested that you posted is now gone. 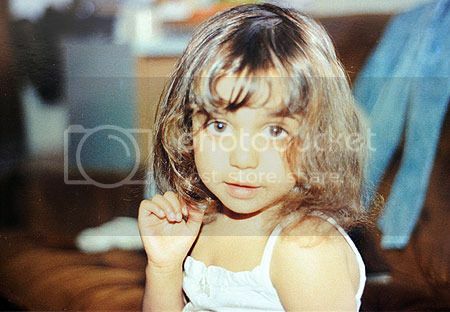 Meredith Kercher - what a cutie, starting from when she was a baby.... Thanks to a surprising certain person who sent these to me via PM. Meredith was born on December 28 1985 at Guy's Hospital. She grew up at the family home in Fairdene Road and went to Keston Primary School in Old Coulsdon and then spent eight years as a pupil at Old Palace School. in September 2007, where she took a course in modern history, political theories and history of cinema. Before leaving for Italy she had worked part-time at Gatwick Airport, as a bus tour guide in central London and did bar work at Vodka Revolution in Leeds. She had been in Italy just over two months when she went to meet friends to watch a DVD the day after Hallowe'en. John, a former journalist, wrote that he had spoken to Meredith on the phone just hours before she was murdered and that his last words to her were: "Love you too." In the pages of the book, Meredith, lies perhaps the most poignant tribute. It reads: "It is not only our family and her friends who have lost her. So has the world."